Each Monday morning, we’ll ask a few of our authors and friends of the site to answer an important question concerning the Reds. Nick Carrington: Scott Schebler will have a surprisingly good season for the Reds, even though he may get only 350-400 plate appearances. On July 14 last year, Schebler was hitting .278/.351/.470 with a 120 wRC+ when he injured himself and missed over a month. After the injury, he hit .202 and slugged only .368. That was the second straight year that Schebler hit really well when not injured. He’s 28 years old, in his prime, and due for a healthy year. While Spring Training stats are of limited value, Schebler has looked comfortable at the plate in 42 plate appearances, walking 11 times and striking out only 6. In 2019, Schebler hits .275/.360/.480, closer to his 2018 season pre-injury. He pounds 20+ home runs and plays solid defense on the corners and passable defense in centerfield. Schebler’s emergence gives him a fighting chance to regain his starting spot in 2020 when Yasiel Puig leaves via free agency. Nick Doran: Jesse Winker will bat .300/.400/.500 and hit 25 home runs. Only four players accomplished that feat last year: Mike Trout, Mookie Betts, Christian Yelich and J.D. Martinez. That may seem like an outlandish prediction for Winker but keep in mind his career slash line is .299/.397/.460 in 136 games over the last two years. My projections for Winker’s 2019 stats are much more aggressive than Steamer, ZiPS, PECOTA and THE BAT — probably because Reds fans know something those projection systems don’t know: Winker’s shoulder is now healthier than it has ever been. He has played with an injured shoulder the last two years and that has now been surgically repaired. I think we will see a new level of performance from him, especially in terms of home run power. Kourage Kundahl: The safe choice would be a rebound for Scott Schebler, who — healthy right arm and all — should more closely resemble the 30-homer hitter from two seasons ago than the one that struggled to stay in the lineup last year. But I think José Peraza deserves your attention following his 2018 breakout, clouded mostly by an OPS+ a rounding error below average (97). Beside riding his launch angle gains to the tune of a career-high 14 home runs, he also challenged Barry Larkin’s single-season hit record among Reds shortstops, falling four short of surpassing the Hall of Famer’s 1990 total. Though he’s expected to man second base in Scooter Gennett’s absence, Peraza is the best bet for Cincinnati’s first 200-hit season in over 40 years… guess who. Only Sean Casey (197 in 1999) has come close since. Sean Lahman (website): Jose Peraza’s aggressive approach and soft contact have caused many to wonder if he’d ever hit well enough to remain an everyday player. But he made an adjustment last year that raises the tantalizing possibility that he could be an offensive standout. In May, Peraza changed his launch angle, attacking pitches with more of an upward trajectory on his swing. The result was more line drives and fly balls, and an explosion of offense. From May 26 to July 31, Peraza hit .330/.384/.455, and in August and September, his new approach translated into a surprising burst of power. Peraza hit 9 HRs over the last 50 games, ending up with 14 for the season. Half came on the road. If he can continue with this approach, Peraza could be the most surprising hitter for the Reds in 2019. Look for him to hit over .300 and more importantly, post an on-base percentage north of .350. While he’s unlikely to hit 20 home runs, look for him to use his speed to translate more of those drives into extra base hits. 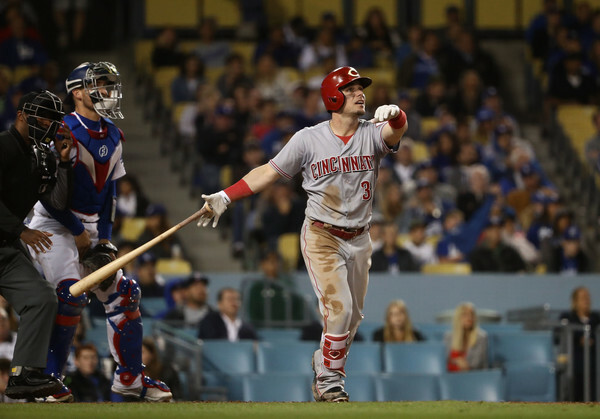 Weekly Reds Obsession: If and when Anthony DeSclafani returns, who does he replace? Reds will be better this season, but not that better. Fourth place is in the horizon, perhaps a third place if Brewers slide, but that’s all. Do you really believe the Brewer’s offense last year was significantly better than this team will be this year? I would argue the 2019 reds will have a better rotation than the 2018 Brewers. 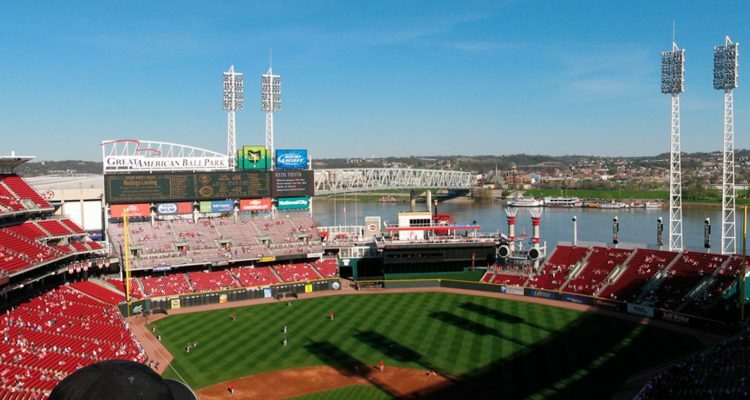 If they won 96 games last year I wouldn’t bet against the Reds being in the neighborhood of 88ish wins, which would bring down the records of all the division teams, which would have the Reds in contention for the division. And that’s a real factor in determining the Reds competitiveness within the NLCD. The better the Reds play, the more games they win within the division and the fewer games the other teams win within the division. The Cubs are banking on a resurgent starting rotation and resurgent performances from multiple position starters. The Cardinals are banking on a questionable starting rotation. I like the Reds chances within the NLCD, but a wild card from the NLCD may be out of reach. Agreed, So that could make the trade deadline interesting. Whoever, is in last place in this division, even with a pretty good record, it would be very difficult to leapfrog all the other teams to get in the playoffs. So obviously a good start, especially for the Reds is going to be very important. I haven’t looked at there schedule to see how it shakes out this year. Interesting that no pitchers were mentioned? That is where we really need to see the breakthroughs! 7. That’s my prediction for the number of lineup spots that will be very tough on opposing pitchers. Once Senzel is at 2nd or Gennett is healthy only Barnhart and the pitcher’s spot will be a bit of a breather. So the breakout player is: the Reds offense. I could see that happening but I can also see we play much closer games because we should pitch better.Closer games mean we see the opposing teams best late in games rather then the mop up guy who is out there late with a 4 or 5 run lead as we have seen so much in the last few years.I realize it is a hard stat to come up with but oh so often our hitters got cookies to hit late in games when the game was never in doubt.As you stated once Senzel or Scooter man second we can be tough on opposing pitchers.Untill then well we are no better then last year’s lineup.We replaced Billy with Puig and Scooter with Iglesias which is a wash at best but we shall see. 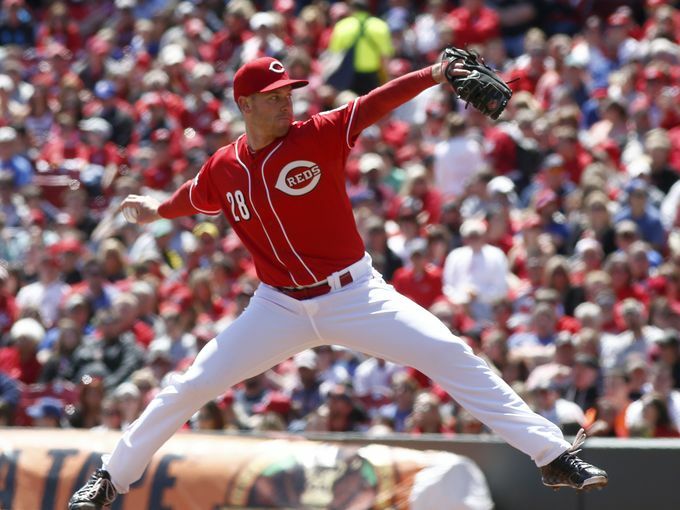 Derek Johnson is going to work his baseball magic on Robert Stephenson and he’ll stick with the Reds all season with a BB/9 under 4 and a K/9 over 9 out of the bullpen. (Career 5.7 BB/9 and 8.6 K/9). With the Reds failure to replace Barnhart this past off-season (there were rumblings for both Grandal and Realmuto) I wouldn’t be shocked if our starting C spot is very much up for grabs. If Tuck continues to stink at pitch framing and isn’t ripping the cover off the ball, then i can picture the C position being a platoon by early May. Meanwhile, our new pitching coaches (Cotham & Johnson) and $40M starting P Gray are all very familiar with Casali. I won’t be shocked if Casali receives 300+ AB this year and, if he takes full advantage, can definitely see Curt being announced as our full-time starting C by Opening Day of ’20. Scouts seem to think that he can be a legit above average to plus defender with a plus arm behind the plate with the ability to shut down the running game. Offensively, Casali shows average projection with the bat as well as average power potential. This, alongside his Vandy Alumni ties, have Casali as my “Surprising Breakthrough” candidate of the Reds ’19 season. I’m going out on a limb and saying it will be Anthony Desclafani. Posting an era in the 3.75 range, leading the Reds to the 2019 wildcard. I picked Schebler last year and that didn’t work out too well, he is a probably pick too. I like Luis Castillo becoming the Ace we know he can be. An ERA just above 3.00 with high K low BB rate per 9. It would be nice if it were Tucker Barnhart; but I’m gonna go with Amir Garrett. I don’t have an individual to pick. Reading all of the comments makes one realize there is reason to believe several Reds players may contend for the biggest breakthrough this year. Gotta love that. Sal Romano becomes a legit force at the back of the bullpen. No one has really seized the set up spit or vs lip closer spot. Lorenzen just cannot step up to that spot. Hughes would be miscast in that spot. Garrett might get a chance. But it will be Romano who steps up large in the bullpen. +1 I think Sal will be great out of the bullpen and turn into a work horse in late inning close games behind Inglesias. Wow. Auto correct is bad. Spit or vs lip should read spot and back up closer. Sonny Gray: reunited with his college pitching coach, Gray transitions his pitching repertoire back to his strengths and goes from Yankee castoff to a legitimate #1 pitcher for the Reds. I like Gray’s chances of returning to his previous success and leading a much improved starting rotation. That was my call too. Gray may give up some HR but I think he will pitch deep enough in games to actually win 14-15 games. I know pitcher wins don’t matter except that they mean you don’t have AAAA bullpen arms blowing 3 run leads in the 6th inning. Gray handing off the Garrett or Lorenzen after 6 and 2/3, then Iglesias sounds fine. Surprising? I think Puig goes for 35/108 with 20 steals. Schebler….maybe but he always gets hurt. I could see Winker doing more damage then expected. Joey better get his power back or the Reds are going to be in trouble. Do we expect that or would it be surprising? Overall I say 80-82. The division is too tough and the pen has way too many has beens & never weres. I hope I’m wrong….just to have a shot at anything past the AS break would be nice. Puig is totally a sleeper, if that’s possible. He was robbed of more RH power by Dodger stadium than nearly any top power hitter. I expect only .270 average but 35 HR is totally realistic. Jose Peraza. People very much undersell his potential. They seem to think he’s a small, light hitting infielder in the vein of Jose Altuve, but the fact is Peraza is actually an inch taller than Eugenio Suarez (5’11” vs 6’0″). Peraza has always made contact, his problem was generating power. Something seemed to click for him last season and suddenly he was driving balls with authority. Coupled with the fact he seems to have bulked up this offseason, I would not be surprised to see him hit 20+ HR this season. .295/.340/.465 with 23 bombs is my predicted line for him. Dan Straily. Just released by the Marlins. Rotation depth, and we can trade again later for a real nice prospect. LOL. That’s why Luis Castillo HAS TO BE the Red’s breakout star. Having him win 20 games the same year that Dan Straily is released would be just too perfect. Sonny Gray wins 18 games! Yasiel Puig will lead the Reds offense to the .500 mark and from there it depends on the starting pitching backed up by a strong bullpen. I’m picking Sonny Gray. I think he’ll be the ace of this staff and be a good acquistion/signing by the Reds. I predict an All-Star game in his ‘19 future also. Sonny Gray has already been tagged, so I believe Nick Senzel will be a surprising breakthrough with a 25 hr, 82 rbi season where his slash is .312/.386/.467. He becomes the starting third baseman after the Reds trade Suarez, along with Rob Stephenson, to Philly for Nick Pivetta and Roman Quinn or some other player that can play CF until Taylor Trammell is ready. The surprising breakthrough in 2019 will be a good Reds infield defense. Eugenio Suarez will rebound and play 3b like he did in 2017. Jose Iglesias will be a GG caliber SS and restore Zach Cozart like defense at this premium position and Jose Peraza will use his 2018 experience at SS to play a solid 2b. It will be so good that its the starting infield again in 2020. #2. Jesse Winker: 28 HR, 93 RBI’s, .323/.408/.495. He becomes full time first baseman after Mr. Votto quits, claiming: “I’ve made enough money, I’m going back home to become a Mountie. He claims that everyone should call him: Joey-Do-Right. Agree. I’m also picking Winker. Not about 1B though:) ! .323 (exactly what you predict) / .420 / .505.